5-10 minute walk from town centre. With its pleasant surroundings, the park houses many specimen trees, shrub and flower beds. The park also supports a bowling club with two quality bowling greens as well as a private tennis club. The toddlers play area is very popular and there is a mother and toddler group which meets regularly in the park. In the centre of the park is a band stand, used by Hitchin Town Band in the summer months. Bancroft Recreation Ground has been in existence since before the second World War, at which time all the metal fencing was lost to munitions for the war effort. 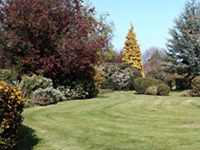 Part of the park was given to the District Council by Upchurches, the old Hitchin Nursery Company. The tennis courts are managed by the Hitchin Lawn Tennis Club. For further details please contact the club. Pay and Play Tennis is available and is charged at £7 per hour. 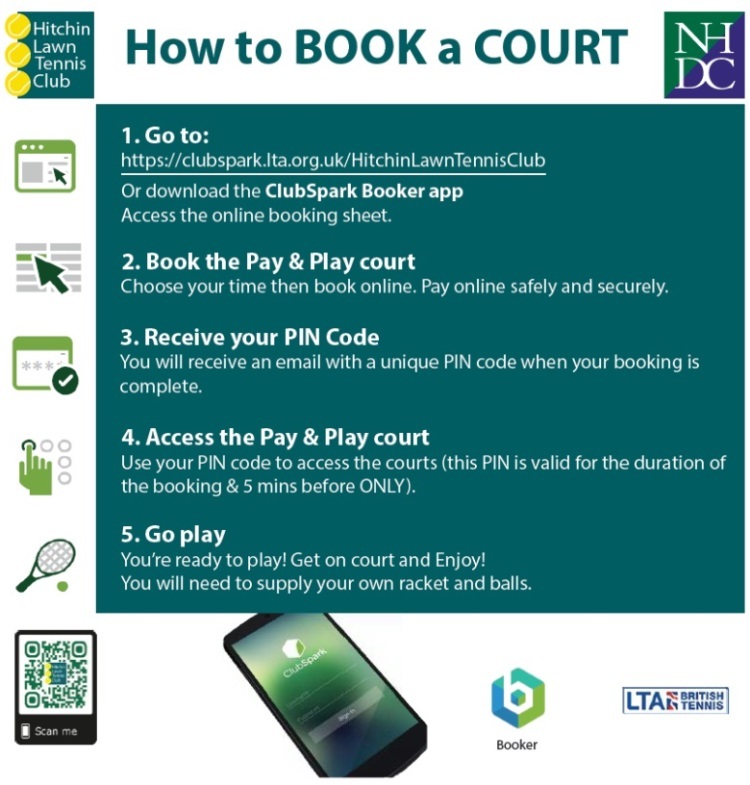 You can easily book and pay for your Tennis Court online.